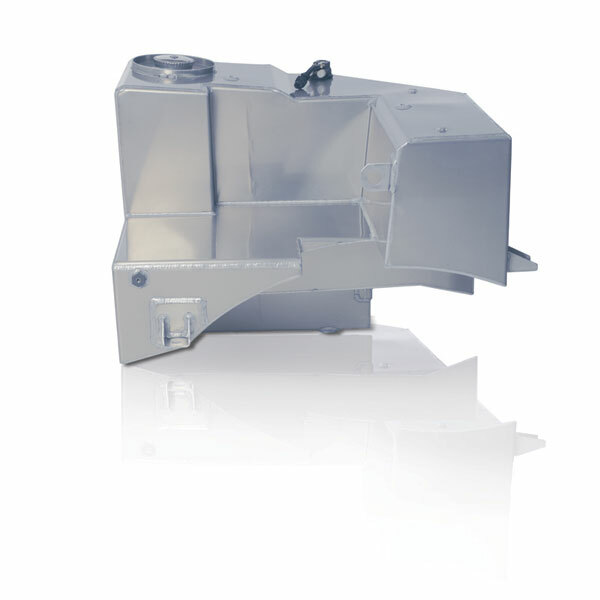 Alutech's lightweight design aluminium fuel tanks have single or combi-tank solutions. 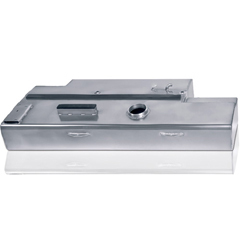 These aluminium fuel tanks have up to three chambers. 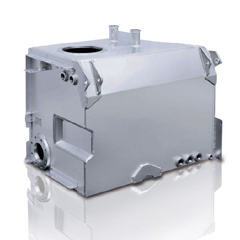 Based on military vehicles' special requirements - reliability, mobility, flexibility and low through-life operating costs - aluminium fuel tanks are the perfect solution. Pre-assembled aluminium fuel tanks include supports and bands. Tailor made constructions based on costumer's specifications are provided. Aluminium fuel tanks as combi tank solutions- with fuel and oil chamber and attachments according to customer specifications. For light and versatile vehicles where speed and weight are the most important features, aluminium hydraulic tanks are an excellent choice. 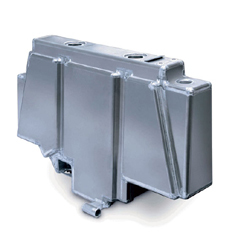 In the case of hydraulic tanks use of intelligent aluminium solutions allows maximum weight savings. The use of intelligent aluminium solutions guarantees corrosion resistance in the hydraulic tanks. All external environmental influences are prevented over the entire life of the hydraulic tanks. The operational mobility of these hydraulic tanks is a benefit to the military. For strong and heavy vehicles where features like strength and robustness are of highest importance, Alutech can also provide solutions in steel and stainless steel. Key benefits of aluminium seat structures are weight savings of up to 45%. Aluminium seat structures allow broad design freedom. This is achieved in combination with extrusion-moulded sections, cast parts, sheets, tubes and extruded parts for Alutech seat structures. Thus, allowing optimised distribution of the masses within the component. Alutech's aluminium seat structures guarantees the highest comfort. Ergonomic demands are perfectly met by the seat structures. Alutech's seat structures are supplied all over the globe. Transporter tanks from SAG Alutech are developed and produced to meet the maximum demands and requirements. The transporter tanks are suitable for vehicles with all-wheel drive. These transporter tanks are made according to customer demands. Same advantages as of Alutech's aluminium fuel tanks are met by transporter tanks.